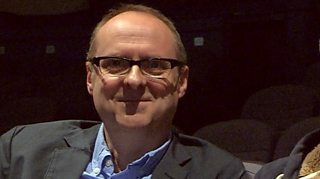 BBC Blogs - BBC Writersroom - A Quick Word With… David Kane. A Quick Word With… David Kane. David Kane is one of the most experienced and successful screenwriters around. His credits include Stonemouth, The Field of Blood, Foyle’s War, Rebus and Taggart and plays such as Dumbstruck and Grave Plots. Recently he’s scored with the BBC drama Shetland, with the show’s third series in particular doing well with critics and audiences around the world. Writersroom: What boxes are you trying to tick when you write Shetland? David Kane: Basically, you’re looking to create a story that’s believable on an island of 20,000 people. We all know there haven’t been that many murders on Shetland. Orkney has had more for some reason! It’s a case of trying to say, This could happen in Shetland. This is real! Since the pilot it’s become darker. There’s a bit less humour, and I think that’s a good thing. We’re going for a more serious take. WR: How important is setting? DK: In a way, the police station in Shetland could be anywhere. It could be in Cornwall, anywhere in the UK. And I think that’s important. People recognise it [the show] has a sense of place but it’s not alien to them. WR: Moving away from Shetland, now… What’s the best piece of advice you’ve ever been given? DK: That’s a tough question! Well, the advice I give to other people is remember it’s just television! You can get very caught up in it, you know? Keep some perspective! WR: And do you have a golden piece of advice – something pragmatic – that you could share about the actual process of writing? DK: I’d give the age old piece of advice – write what you know. Certainly at the beginning, write about things you’ve experienced and try to share them with an audience. 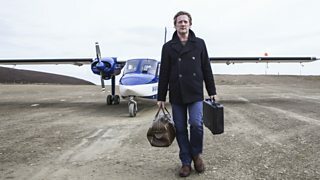 Shetland - taking off all over the world. WR: Where are the opportunities for new writers these days? DK: I think now, because there are different platforms, it’s opened up a huge amount. With Netflix and Amazon and the way people are watching programmes, it really has. There are opportunities everywhere – Europe, the States… Shetland is very popular in Scandinavia, for example. Yeah, it’s a much more international business, now. That’s the key to it. Even if you’re writing something set in Scotland you have to imagine it will be seen all over the world. WR: If you could get rid of one thing from TV drama forever what would it be? DK: Adverts! [Laughs] But that’s just me! WR: Last question… Will we see more Shetland? DK: I hope so! I’d like to write more! I’ve got my fingers crossed! Big thanks to David Kane! 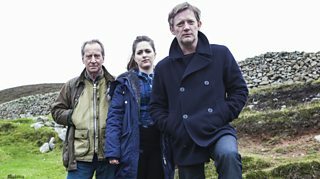 And there are loads of Shetland goodies including character profiles and interviews with the cast, over at the show’s official website. A Midsummer Night’s Dream: An Interview with Russell T Davies.